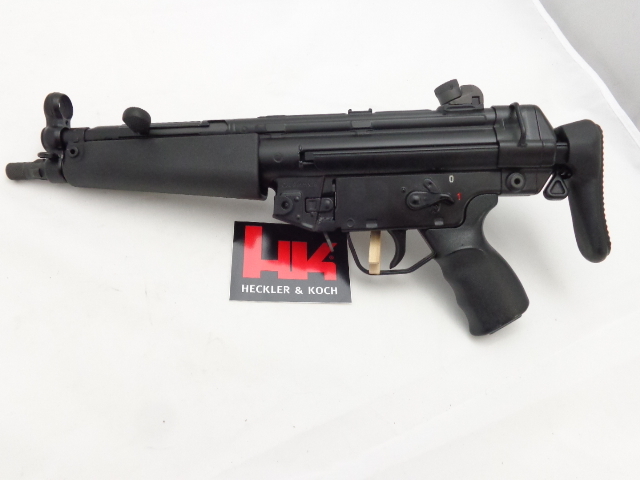 NEW/UNFIRED SINCE CONVERSION. 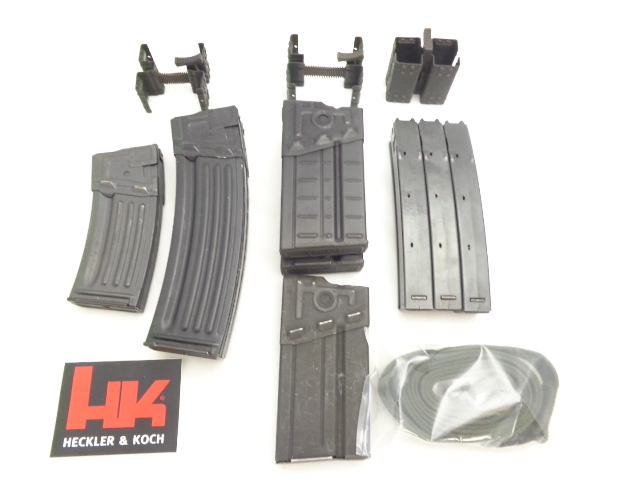 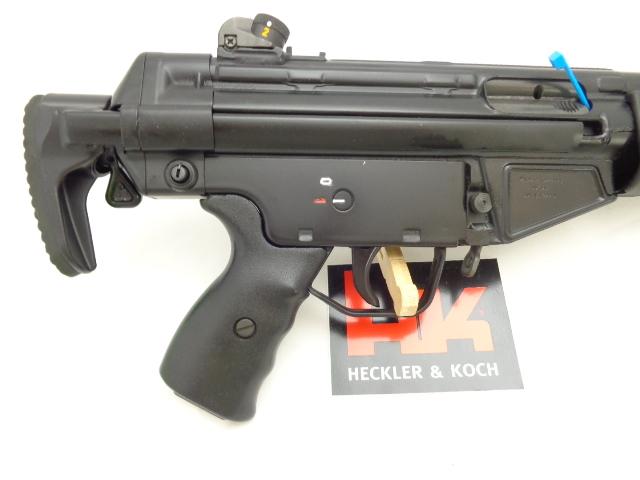 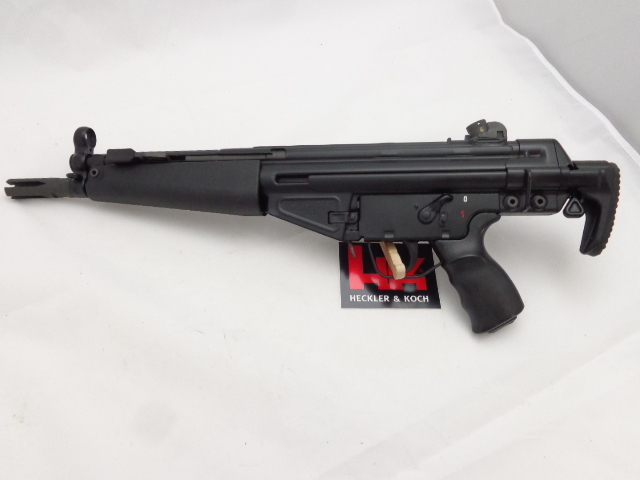 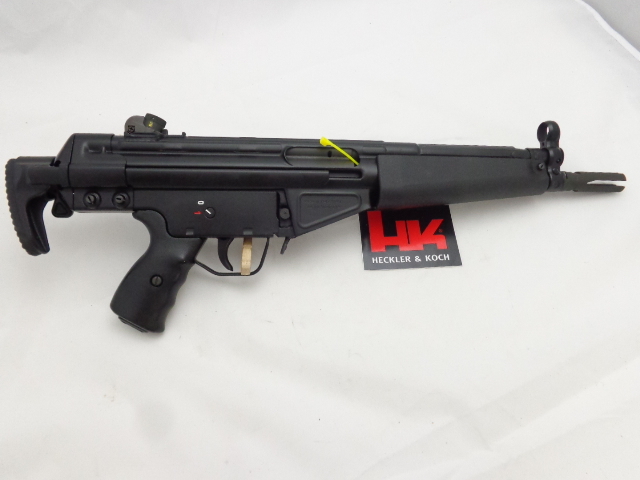 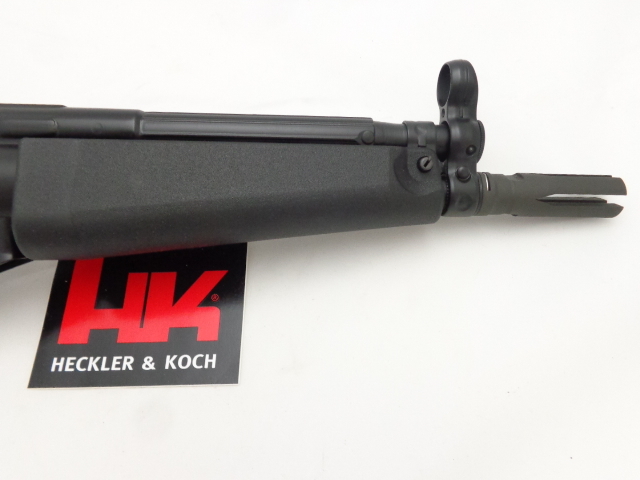 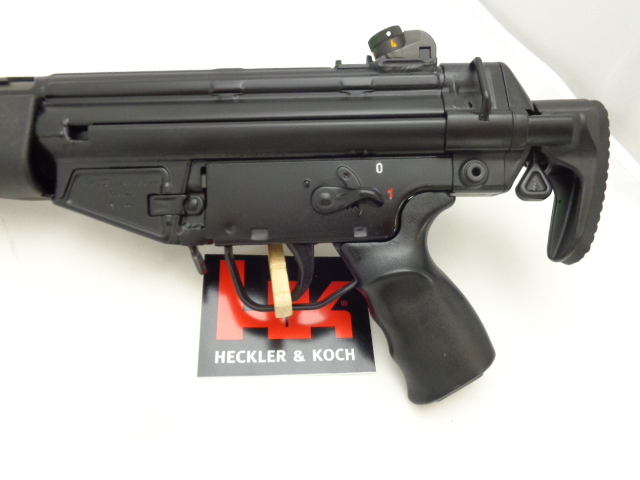 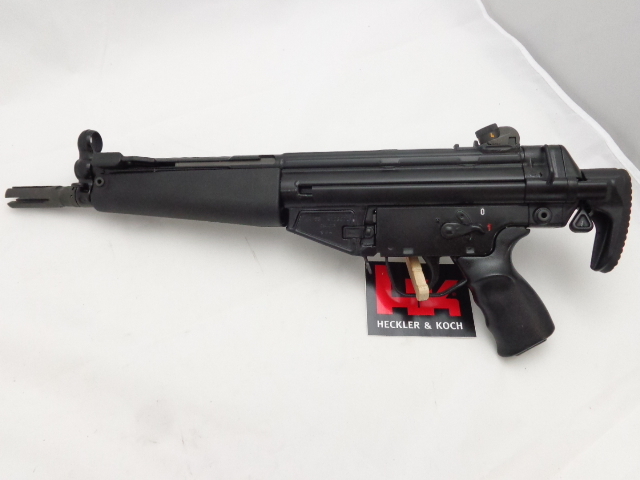 INVESTMENT GRADE TRANSFERABLE ALL GERMAN (3) HK SBR PACKAGE WITH A FLEMING FULL-AUTO SEAR. 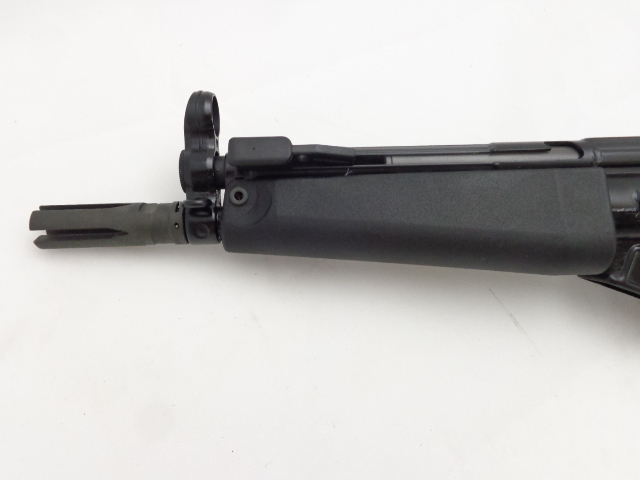 ALL CONVERSION WORK BY TDYER GUNSMITH & MACHINE. 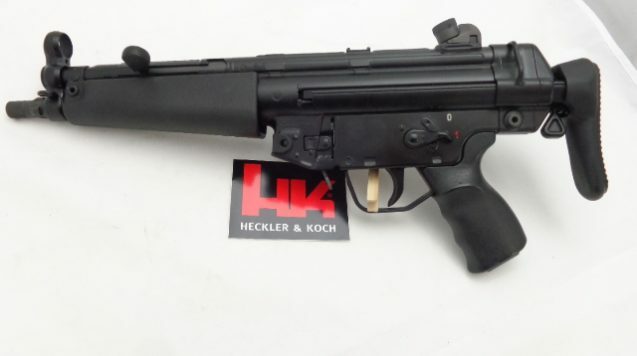 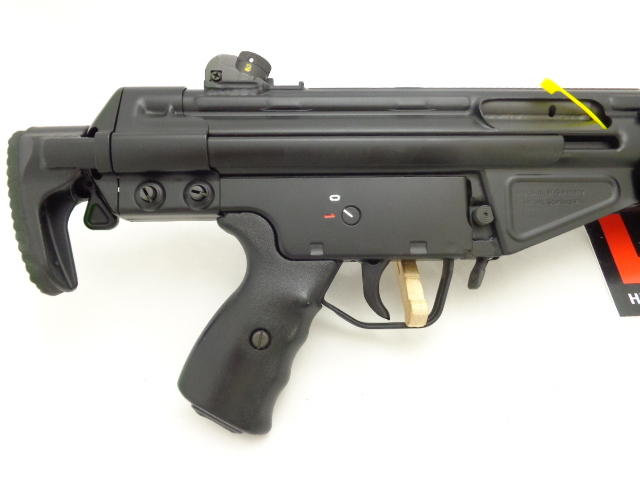 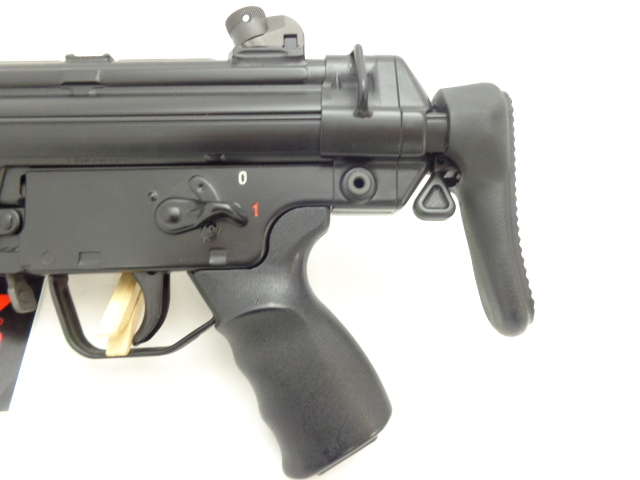 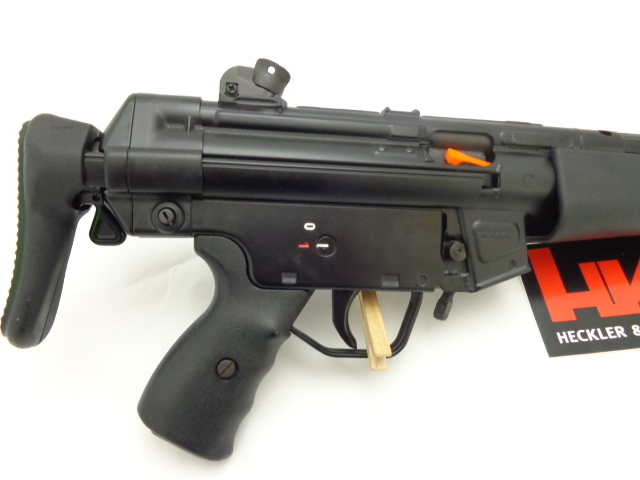 MP5NA3 – SBR- (IH), Investment Grade All German MP5-N includes a Factory German Authentic MP5 Three Lug Barrel (Not a Cut-down HK94 Barrel w/Adapter)Threaded by TDyer Gunsmith in the Popular 1/2 X 28 Thread Pitch with a Thread Protector, Flapper Combat Magazine Release, New German Wide Tropical Hand Guard, Factory German A3 Collapsible Stock with Metal Back Strap, Original Factory 0-1 Metal Lower Housing, Factory German Semi-Carrier welded to Full-Auto Specifications, Remarked MP5-N, Carrier, Flapper & Barrel are New Phosphate Finish and Gun is in Semi-Gloss HK Black. 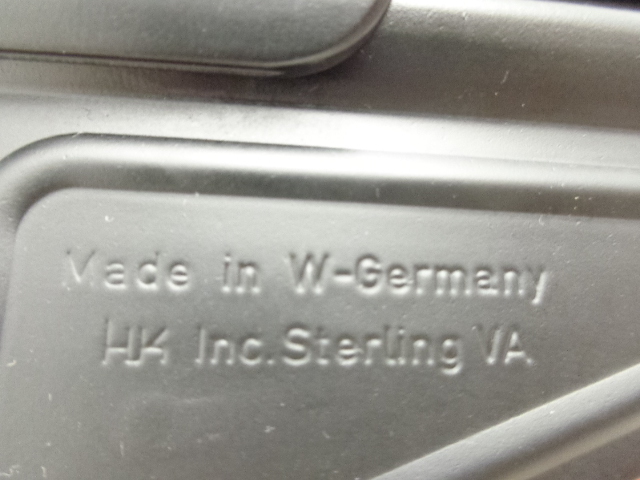 All German Unfired Short Barrel Rifle (SBR), Registered Tax-Exempt Form 3. 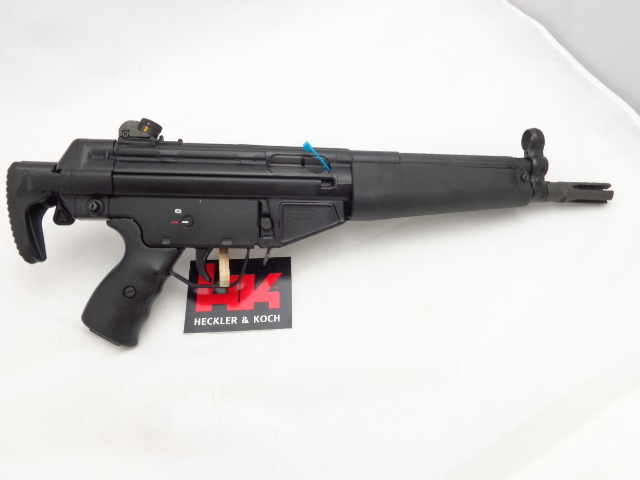 HK53A3-SBR- (IB), Investment Grade All German HK53A3 includes a Factory German Authentic HK53 Barrel (178), a NEW German 4-Prong Flash Hider, Flapper Combat Magazine Release, NEW Factory German Correct Wide Tropical Hand Guard, NEW German HK Soft Rubber Cocking Knob, a NEW Factory German A3 New Style Concave Collapsible Stock, Original Factory 0-1 Semi-Auto Trigger Group with German HK Original Metal Lower Housing, Factory German Semi Carrier welded to Full-Auto Specifications, Remarked HK53, Carrier& Flapper New Phosphate Finish and Gun in Semi-Gloss HK Black. 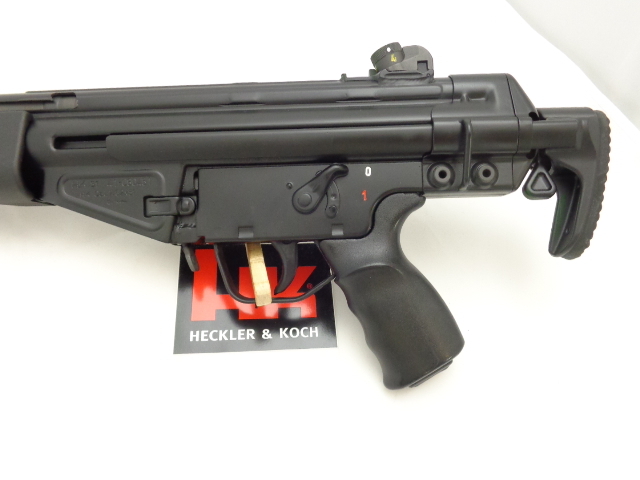 All German Unfired Short Barrel Rifle (SBR), Registered Tax-Exempt Form 3. 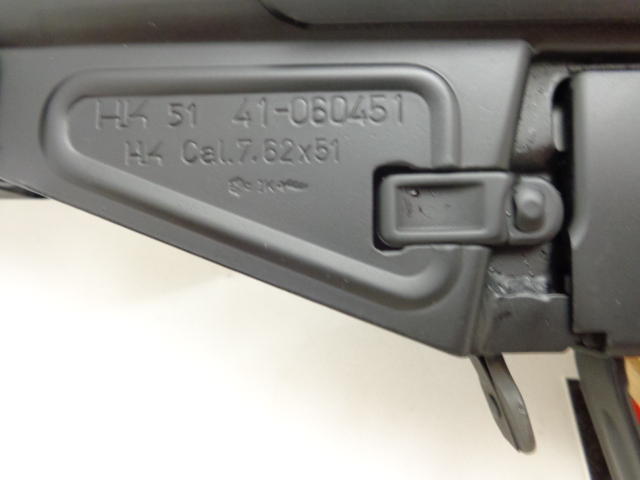 HK51A3-SBR- (IB), Investment Grade All German HK51A3 includes a NEW German 4-Prong Flash Hider, NEW Factory German HK Soft Rubber Cocking Knob, Flapper Combat Magazine Release, NEW Factory German Correct Wide Tropical Hand Guard, Original Factory German A3 Stock, Original Factory 0-1 Semi-Auto Trigger Group with German HK Metal Lower Housing, Factory German Semi Carrier Welded to Full-Auto Specifications, Remarked HK51, Carrier & Flapper New Phosphate Finish and Gun in Semi-Gloss HK Black. 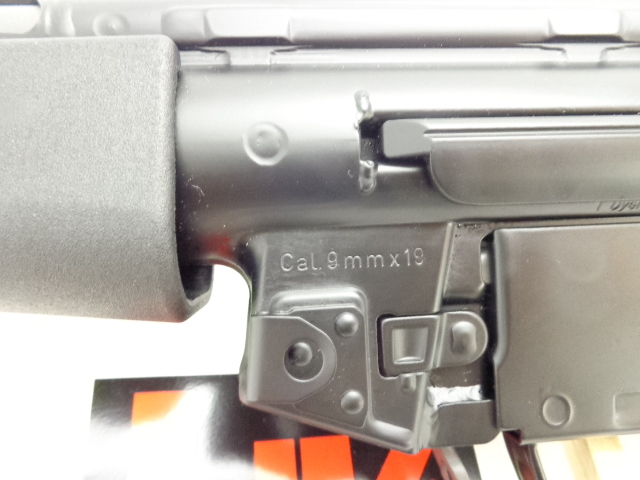 All German Unfired Short Barrel Rifle (SBR), Registered Tax-Exempt Form 3. 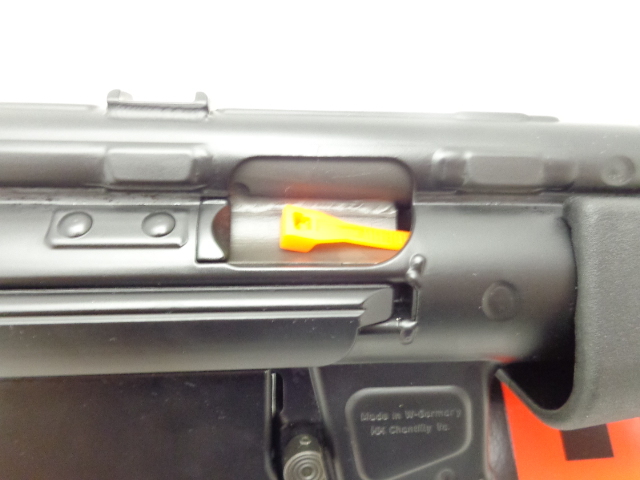 FLEMING FULL-AUTO SEAR, Registered in N/A Calibers, in a SEF trigger Pack. 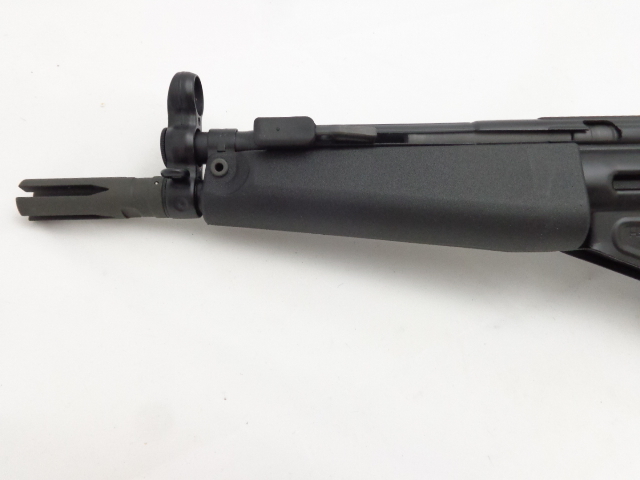 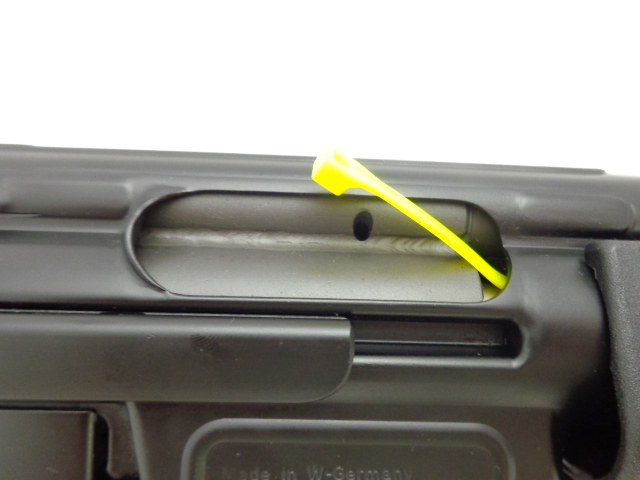 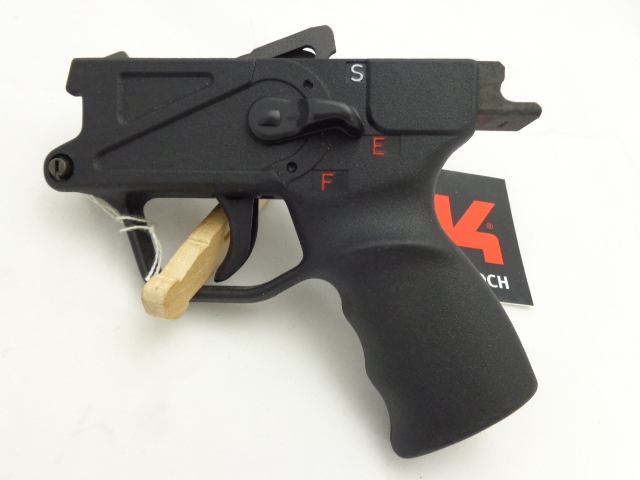 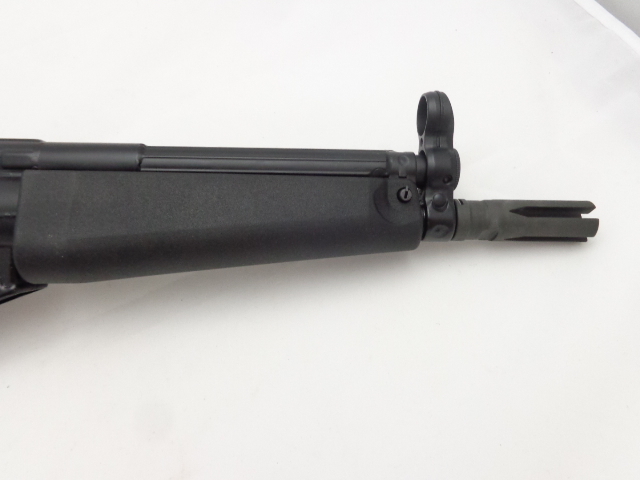 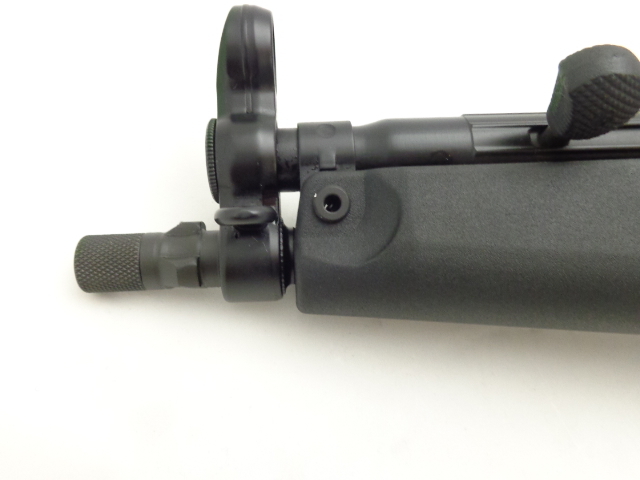 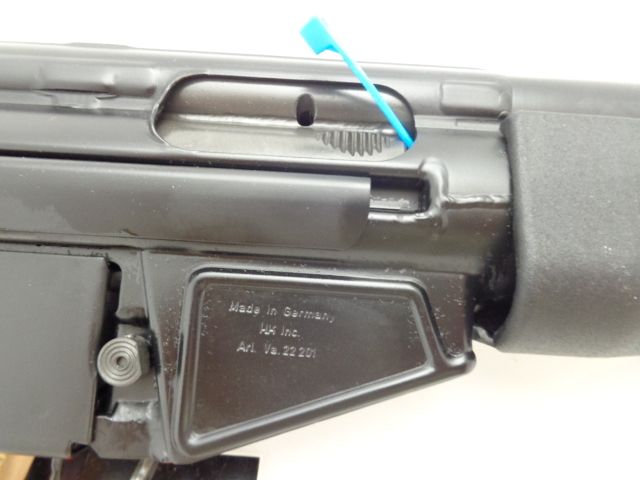 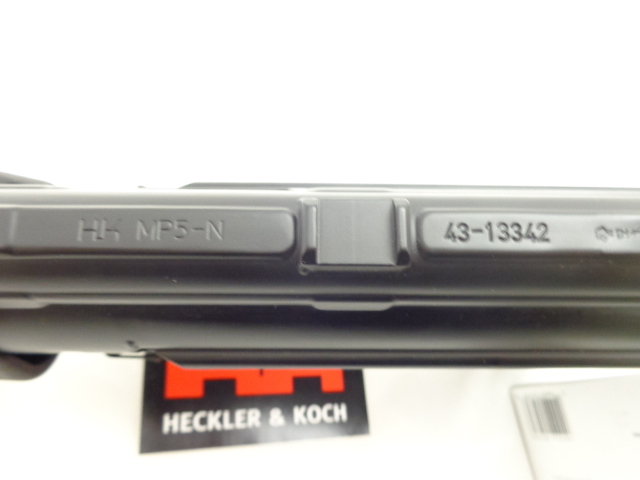 NEW German Contoured SEF Polymer Housing, Clipped & Pinned, Registered Tax-Exempt Form 3. 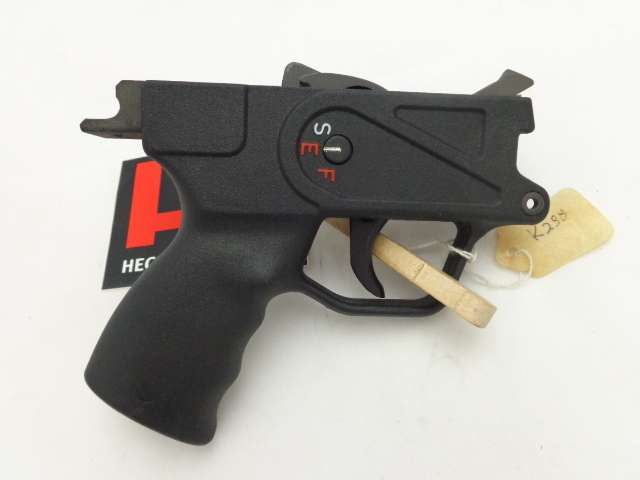 Registered Form for Quick efile Transfer. 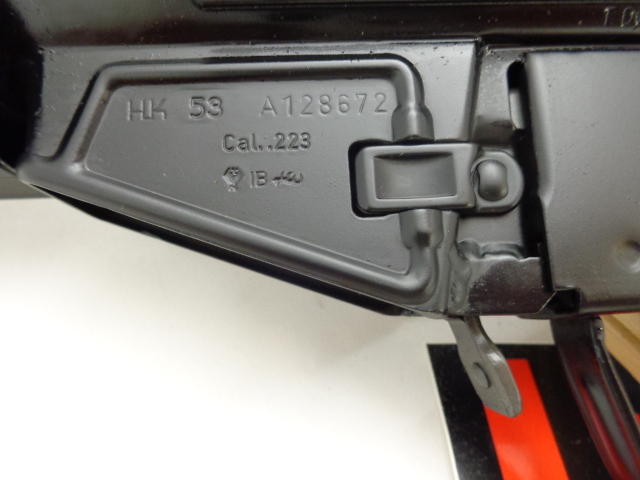 Florida Residents Subject to 7% Sales Tax.